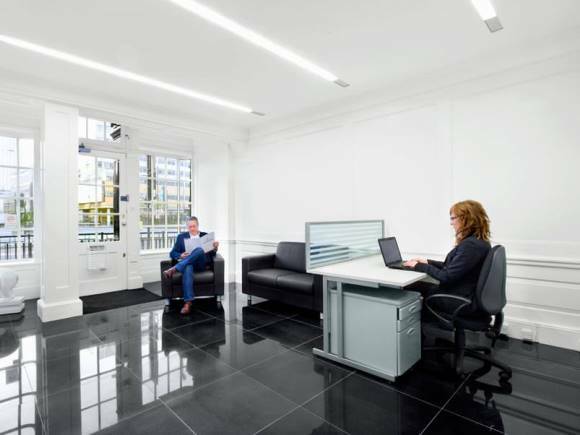 Aldgate High Street Business Centre is situated in a convenient location opposite Aldgate tube station, which offers superb transport links via the London underground network to many parts of the capital. Retaining many of its original features, the interior of this period building has been refurbished to a high standard throughout and boasts a welcoming reception on the ground floor and meeting room facilities which can be hired by the hour. Office space includes office furniture, air-conditioning, telephone handsets and is pre-installed with IT and telephony infrastructure that is ideal for a fast and easy set up. Rent terms for these serviced offices are totally flexible and suites come in a wide range of sizes enabling company expansions or even downsizing if necessary.